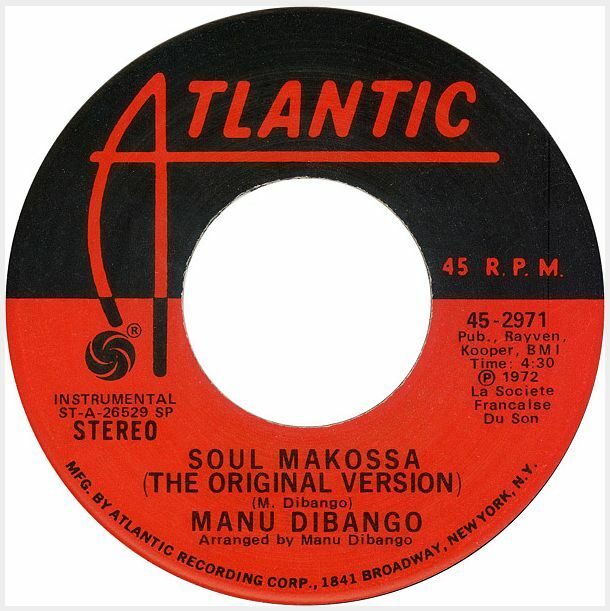 “Soul Makossa,” Dibango’s signature disco smash, was originally released as the flip side to the 1972 single “Mouvement Ewondo” (a song about the Cameroon national football team) on the French independent Fiesta record label. The song probably would have sunk without a trace if it had not been for Manhattan socialite David Mancuso. Mancuso was known for throwing exclusive invitation-only loft parties in New York City that served as a precursor to the city’s thriving Disco scene of the 1970s. 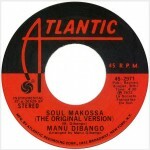 Mancuso found a copy of the record and gave it a spin at one of his parties where it was heard by DJ Frankie Crocker, who in turn played it on WBLS, New York City’s highest rated urban radio station at the time. The song became very popular, but the single was so rare that nine cover versions sprung up to fill the demand for the record before Atlantic Records could rush-release Dibango’s original recording in 1973. As a result of the cover versions, Dibango’s recording only climbed up to #35 on the Billboard singles chart; however the chart position didn’t realistically reflect the enormous popularity of the single. 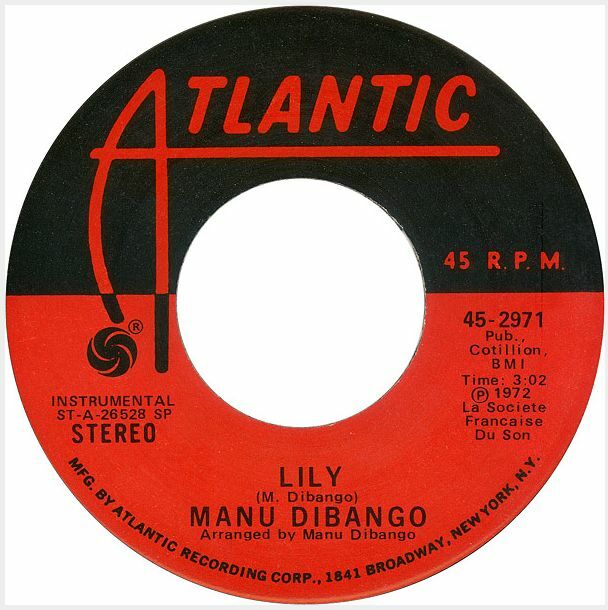 Dibango released an updated version of the track in 1994, and then again in 2011 under the title “Soul Makossa 2.0.” The flip of today’s jukebox classic is “Lily,” another soul groover written by Dibango that is also from the Soul Makossa album.